Freiburg's Caleb Stanko (r.) impressed during pre-season and was finally given his chance to shine against Schalke. 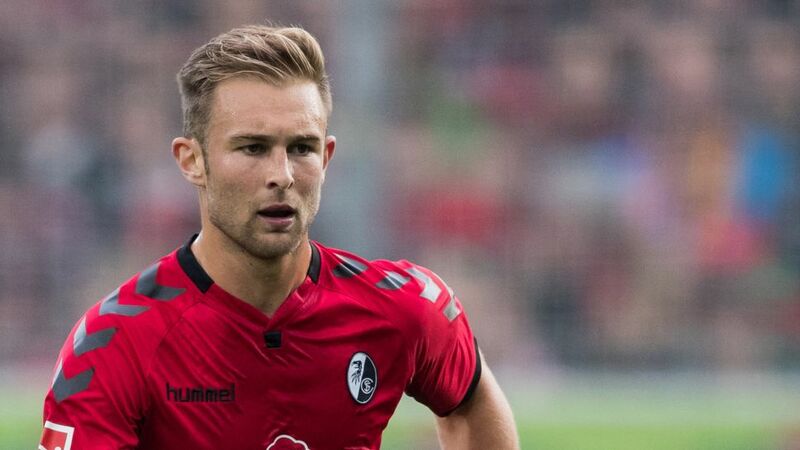 Versatile USMNT and Freiburg midfielder Caleb Stanko achieved his dream of making a Bundesliga debut when chosen to play in central defence as the Black Forest side hosted Schalke on Matchday 11. The 24-year-old – a member of the United States 2013 FIFA U20 World Cup setup – was a prominent fixture in pre-season under coach Christian Streich, playing in defence as well as in midfield in several friendlies. At his current club since 2011, Stanko formed part of Freiburg’s successful promotion push in 2016 – the same year he made his USMNT bow under the nation’s fomer coach Jürgen Klinsmann. Saturday represented another first for the Michigan native, and he will now be hoping to add to his tally of German top-flight games in the weeks to come. "I just want to play, that's the important thing for me," Stanko told Kicker recently. “We're all fighting for places and it's tight. I had a good pre-season, I've trained well and I believe in myself."